If you don’t believe in miracles, I encourage you to think about this. BOLIVIA – The three initiatives of the MEM Mission in Bolivia are evangelism, economic development, and education. When you ask me about education, and more specifically about the Shining Light (Brillante) school at Hacienda Verde (Green Farm), what automatically come to mind are my most important memories of the decisions that were made along the way in the school’s development. The school was born at a time when there was strong crisis and adversity in a very traditional Mennonite community before Hacienda Verde was started. The first 12 to 15 students were very brave to accept the challenge of attending a school and to receive an education other than what they knew. The first two years of the school, with more than 30 children in attendance, saw the children gradually overcome the language barrier, criticism, insults, and even the spiritual condemnation from the religious ministers and the surrounding community. In all this, there were many times that there was sadness and tears in each family. Thank you to each one of the dads and moms and their children, and the Hacienda Verde Church; and for each one who participates in one way or another to have this school function as it is. It was and is a reality that each student can begin to dream, plan, and to think about a future and better opportunities. The Brillante school is privileged to have children that, despite their parents’ limited economic resources and different limitations to give academic support, emerge and improve every day in their intellectual and spiritual life. If you don’t believe in miracles, I encourage you to think about this. The school children who attend the Brillante school are Mennonites who only speak Low German and who do not read or write. Their parents are the same, and, therefore, the children are alone in this new challenge: studying in a school with teaching in Spanish and, not only studying, but also understanding sufficiently so that they can write exams. The marvellous truth is that each student has succeeded in doing this. This is a supernatural miracle of God in that each student is completing the standards according to the Bolivian education requirements. We thank God for EMC Missions and its churches that give different types of support to the school. 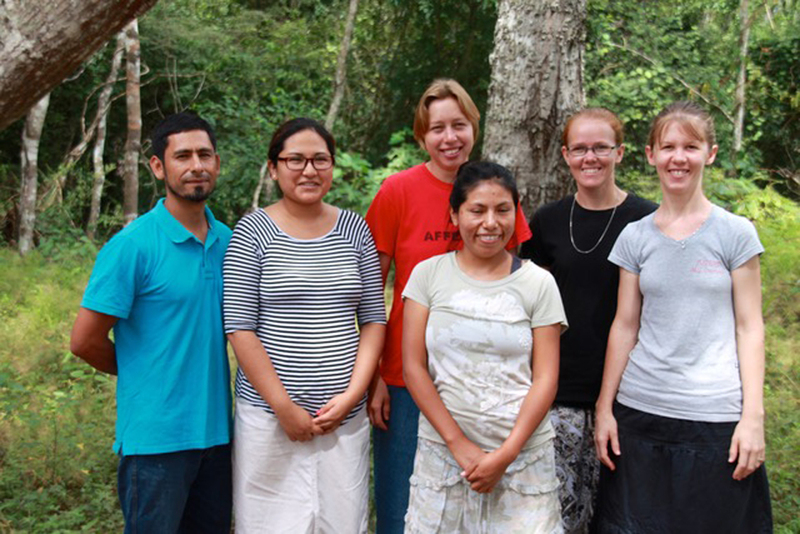 We also thank God for the missionaries who are a blessing to the children and their families of the Brillante School. Note by Ken Zacharias, EMC Foreign Secretary and translator: The school is growing and currently has 51 children in attendance. Henry and Caroline Krahn (Picture Butte) serve on the School Board and are a strong support to the school staff.